When it gets too intense in the gym, these fighters show us what they do to clear their heads and get focused for their next fights. 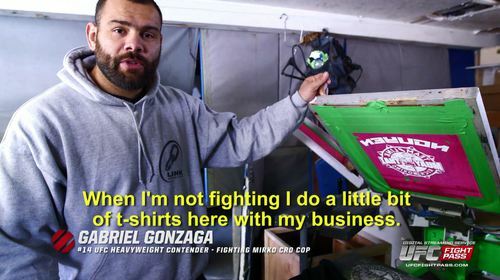 Gym Escape: Gabriel Gonzaga Apr 8, 2015 (1:46) Gabriel Gonzaga explores his creativity as he spends some time away from the gym in this edition of gym escape. 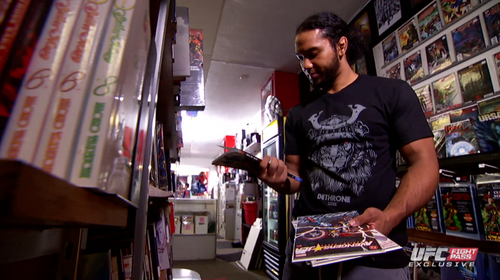 Gym Escape: Benson Henderson Aug 20, 2014 (1:41) Ahead of his upcoming bout against Brandon Thatch, Benson Henderson takes a trip to the comic book store to pick up some of his favorites and explains why he is so passionate about them. Gym Escape: Rafael dos Anjos Aug 19, 2014 (1:05) While spending some time away from the gym, Rafael dos Anjos hits the open water do do some paddle-boarding ahead of his bout against Benson Henderson. Gym Escape - Chad Mendes Apr 1, 2015 (2:24) Ahead of his bout against Ricardo Lamas, Chad Mendes gets away and escapes the daily grind of the gym outdoors in this Gym Escape. Gym Escape: Michael Bisping Aug 20, 2014 (2:05) Michael Bisping trades in the the gym for the beach as he trains outside on the sunny beaches of Southern California. Gym Escape: Cung Le Aug 21, 2014 (2:30) Cung Le spends some time away from the gym and works on improving his internal energy with some eastern style practices. Gym Escape: Ryan Bader Aug 15, 2014 (1:39) Ryan Bader spends some time away from the gym as he and CB Dollaway take their ATV's out in the Arizona desert for some high speed fun. 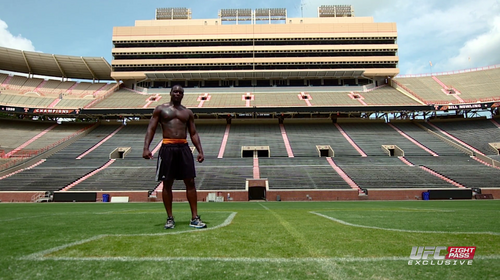 Gym Escape: Ovince Saint Preux Aug 14, 2014 (2:48) We escape from the daily grind of the gym with Ovince Saint Preux to the University of Tennessee football complex, where he shows us where he played college football and how he has adapted what he learned there to his career in the UFC. 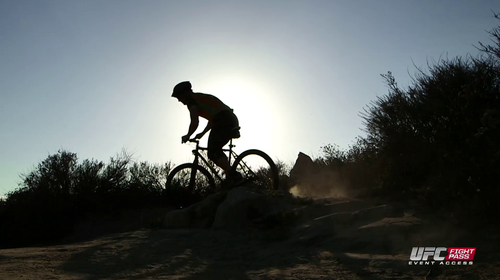 Gym Escape: Patrick Cummins Jul 22, 2014 (1:22) When it gets too intense in the gym, Patrick Cummins heads outside to for a breath of fresh air with his mountain bike, but sometimes pushes himself a little too far. 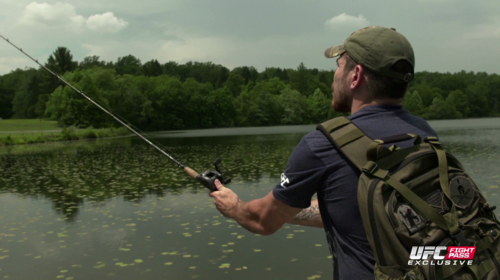 Gym Escape: Jim Miller Jul 13, 2014 (1:28) In preparation for his headlining bout against Donald Cerrone, we escape to the tranquility of a lake and go fishing with Jim Miller, who shows us one of his favorite ways to relax before a fight. 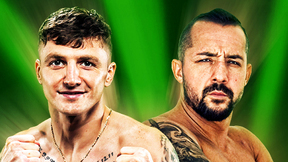 Gym Escape: Cub Swanson Jun 26, 2014 (1:49) Some fighters are competitive all the time and Cub Swanson has found the perfect balance with his new passion, golfing. Cub takes us with him to Palm Springs and talks about how it's actually helped him in the Octagon. Gym Escape: Jeremy Stephens Jun 25, 2014 (1:42) Jeremy Stephens trades the rush of fighting in the Octagon for the rush of a free fall. 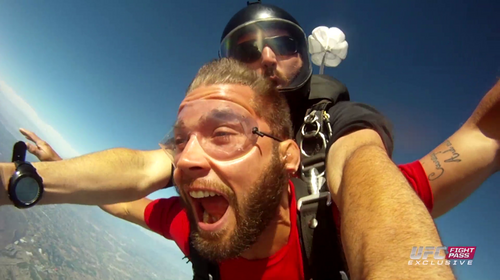 He takes a break from training for his upcoming headlining bout against Cub Swanson for his first jump out of airplane. 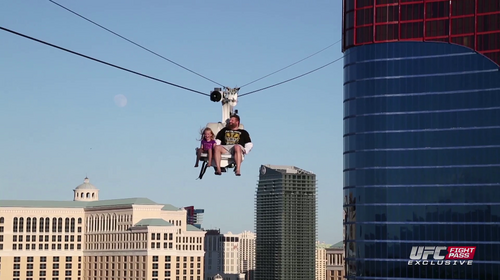 Gym Escape: Roy Nelson Sep 15, 2014 (1:31) Taking a break from training for his headlining fight, UFC heavyweight and native Las Vegan, Roy Nelson, heads to the Voodoo Zipline high atop The Rio hotel to see the city from a whole different perspective. 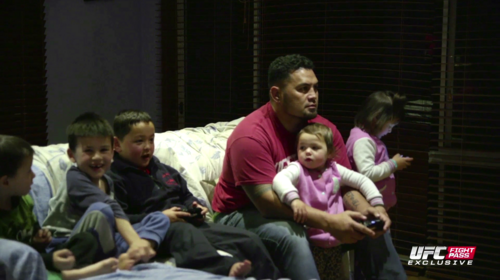 Gym Escape: Mark Hunt Sep 17, 2014 (1:44) As Mark Hunt prepares for his headlining fight against Roy Nelson at UFC Fight Night Japan, we follow him to his home in New Zealand where he trades the gym for some good old fashioned video games with his kids. 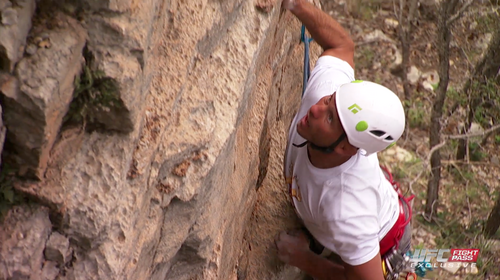 Gym Escape: Donald Cerrone Jul 12, 2014 (1:23) While spending some time away from the gym, UFC lightweight Donald Cerrone goes rock climbing and discusses how it also helps him inside the Octagon. Gym Escape: Tarec Saffiedine Sep 30, 2014 (1:35) When he's training for a headlining fight, Tarec Saffiedine spends so much time in the gym that he uses family time for a much needed escape. 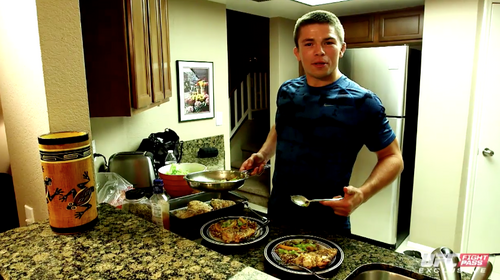 Gym Escape: Rick Story Oct 1, 2014 (1:48) Spend some time with UFC welterweight Rick Story away from the gym as he shows off his skills in the kitchen in this Gym Escape. 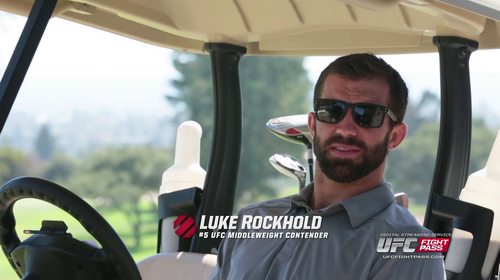 Gym Escape: Luke Rockhold Nov 4, 2014 (1:50) Being born and raised in Santa Cruz, California, Luke Rockhold likes to spend his time out of the gym relaxing on the golf course as well as surfing the California coast. Gym Escape: Frankie Edgar Nov 18, 2014 (2:25) Take a tour of Frankie Edgar's hometown with the man himself. 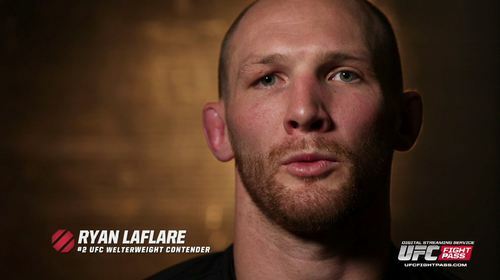 Hear him discuss his blue-collar life growing up and how that made him become the fighter he is today. 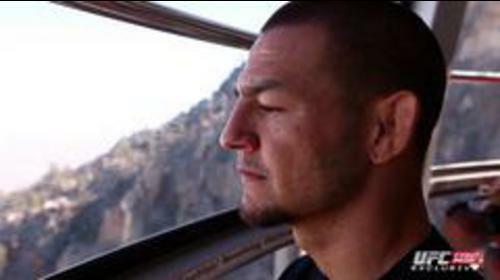 Gym Escape: Cub Swanson Nov 19, 2014 (2:16) UFC featherweight contender Cub Swanson escapes from the gym to do some high altitude conditioning in preparation for his upcoming bout against Frankie Edgar. 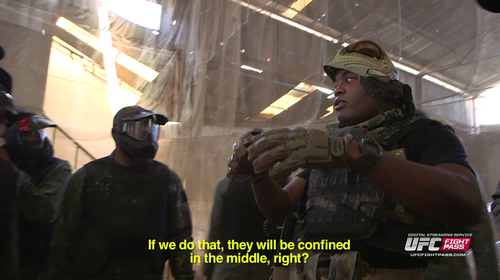 Gym Escape: Anderson Silva Jan 27, 2015 (3:36) UFC middleweight Anderson Silva takes a rare day off from training to play some paintball with his training partners and coaches. 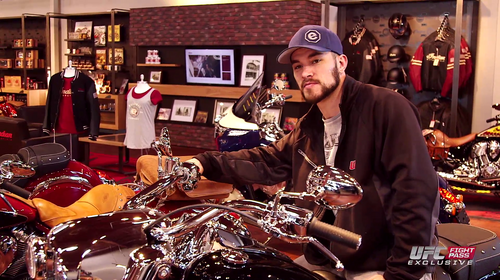 Gym Escape: Brandon Thatch Feb 9, 2015 (1:31) While not working out in the gym, Brandon Thatch spends his time at Grand Prix Motorsports checking out some new motorcycles, ATVs, and cars. 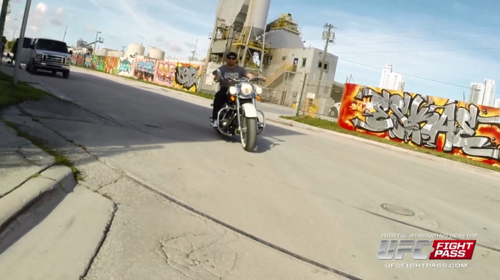 Gym Escape: Ricardo Lamas Mar 30, 2015 (1:41) Ahead of his bout against Chad Mendes at UFC Fight Night: Fairfax, Ricardo Lamas goes for a ride on a motorcycle and discusses his love and passion for them.